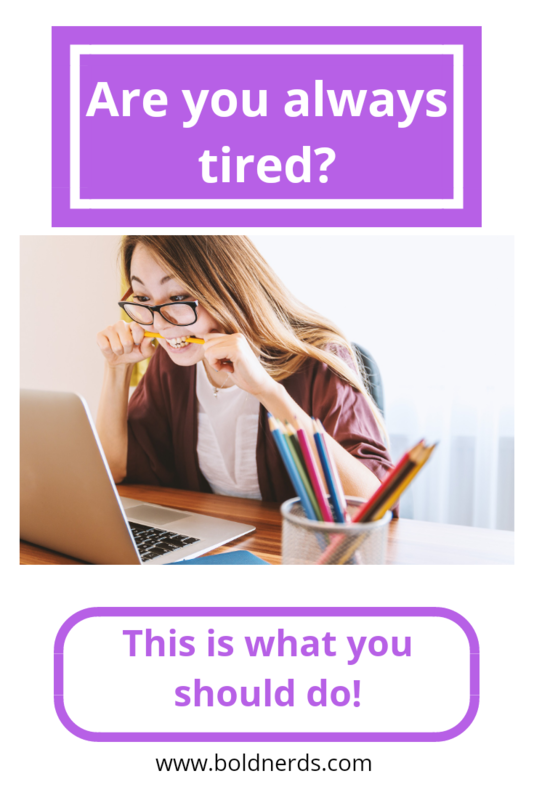 Are you always tired and don't know why? Here are 10 major reasons why you're always tired and what to do. 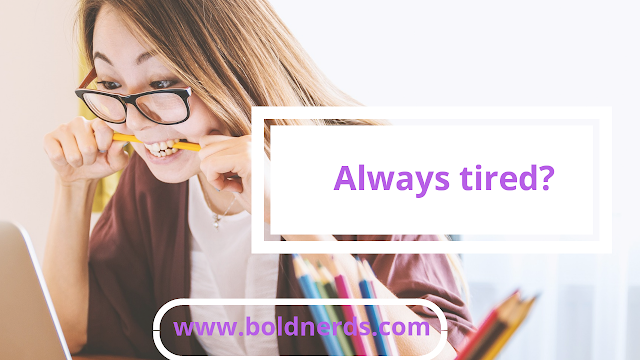 Are you always tired and don’t know what to do? Well, it is normal for every human to get tired, but when you get tired all the time, then there’s a cause for alarm. What's causing my tiredness? You must have asked yourself this very question so many times. There could be many reasons why you are extremely and/or always tired. It is important to understand why you get tired and at what time you get tired. If you happen to wake up tired, you should probably pay more attention to the time you go to bed. You might not be getting enough sleep or it could be that you’re finding it difficult to sleep. But hey, inadequate sleep isn’t the only reason why you might be tired all the time. There are other reasons why one might get tired often. These may include mental health-related issues like depression, anxiety among others. Irregular exercise could also trigger tiredness and a lot more. Adapting to certain lifestyle habits might help you reduce stress even after having a really bad day and ensure that you do not get too tired all the time especially when you haven’t done much during the day. Poor dieting also causes tiredness in most people. This is because, what goes into your stomach can impact your hormones, sleep cycles, mood among others, making it difficult for you to get adequate rest. This is in no particular order! Lack of sleep or sleep deprivation is the main cause of tiredness. It is recommended to have at least 8 hours of sleep daily. Some studies have argued that one should sleep for not longer than 7 hours while others suggest 9 hours. However, the medical history of a person should be taken into consideration. You might need more or less sleep depending on your medical history but 8 hours should be okay for most people. The most important meal of the day is your breakfast. Skip it and have many health implications. That’s simple as ABC… Your breakfast must be healthy and nutritious to help you restore your strength and fuel you during the day. Never skip breakfast for any reason. You need a proper meal to break the night fast after a long night of hard work, your body still works while you sleep. Most of us are addicted to coffee and it’s fine you have a cup or two during the day. However, you should avoid drinking coffee after 12noon as this can have a bad effect on your sleep cycle. Lack of irons can also lead to fatigue. We all know the importance of iron in the human body. Not getting enough iron in your meals can lead to insufficient nutrients, hence malfunctioning of the body which will intend make you feel sluggish and tired all the time. One other point worth mentioning is thyroid disease. Your normal daily activity will exhaust you when your thyroid hormones are out of whack. The thyroid gland is found in front of the neck and is responsible for producing hormones that control your metabolism. Hypothyroidism causes fatigue and might also contribute to your inability to concentrate. Studies show that this disease is most common in women in their 20s and 30s but can also affect older women and men. Being depressed can affect the way you eat, feel and sleep which can make you fatigued and exhausted. hence, making you feel so tired or always tired. Exercising and working out is very essential to healthy living but doing this at the wrong time will affect your sleeping ability. working out just before bedtime might cause hormonal changes which can affect your sleep negatively. Avoid exercising late at night. Stick to morning workout routines and maybe go for a walk instead at night to help you have enough rest to avoid being tired always. Oh yeah! I’m guilty, you are too. Using your cellphone late at night when you’ve got just a few minutes to bed can be very harmful to have a good night sleep. It is best to avoid using your phones, computers, and televisions an hour or two before going to bed so you don’t influence circadian rhythm which might affect the quality of sleep you get. You can as well turn off the lamp in the room before sleeping. Many people might not know this but the kind of room you sleep in can determine the quality of sleep you get. Make sure you have your room tidied up and your bed sheets and mattresses well cleaned up. Doing these simple things can help you sleep better and prevent you from getting tired all the time. So, here are a few reasons why you are always tired or wake up tired all the time. It is important to note that you may be feeling so tired after 8 hours of good sleep but could be for other reasons which haven’t been stated in this article. Therefore, it is important to consult your doctor about your condition for proper diagnosis. PS. I’ll appreciate it if you share this with your friends. Thanks - you rock!